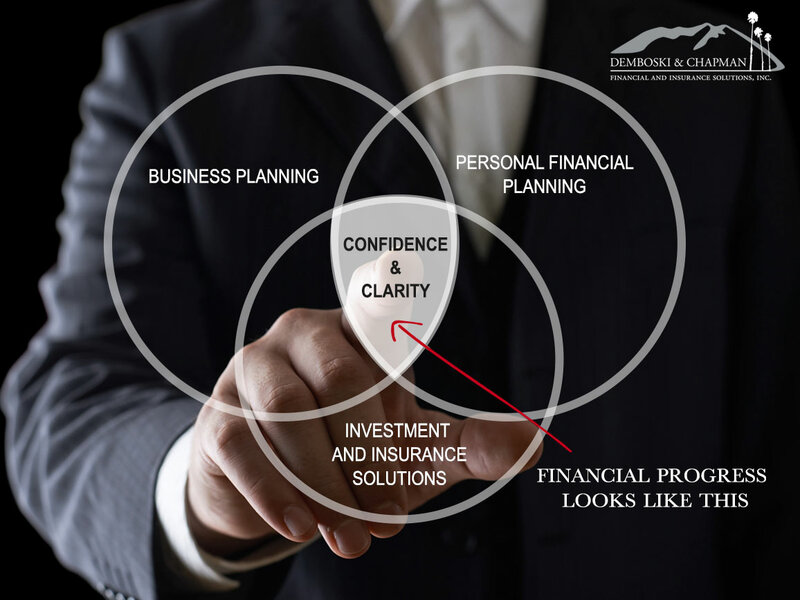 Demboski & Chapman is an independent and locally owned advisory firm with Santa Barbara roots dating back to 1969. For nearly half a century, we've been working hard to build and earn our community's respect, loyalty and continued confidence. Our firm's rich foundation supports the continued grow through referrals from our satisfied clients, and through the network of legal and tax professionals that have come to trust our attention to detail and dedication to results. Our unique value proposition is to be the single point of contact for all investment, insurance and employee benefit complexity that a family or small business and its owners will encounter. Whether you’re part of a law firm, medical group, or a construction company, our local Santa Barbara firm understands the unique challenges you face in managing your business and family financial affairs. Our business was built intentionally to provide an unparalleled level of expertise to our community’s small business owners. So, whether it’s effectively managing with your companies employee benefits, or optimizing your own families asset management or insurance protection you have one point of contact that you know will deliver results. To make the experience in working with our firm a professional and enjoyable experience, we've developed a culture of bringing positive energy and passion to everything we do. We've designed The Clarity and Confidence Solution to identify the results that can be attained at the intersection of our core competencies. This process starts by first clarify your priorities; and then providing you with the resources to confidently address them. Our entire process is custom tailored to your specific needs so as to handle the most pressingly urgent matters first. Our goal is to bring maximum tangible value to your family and/or business. ©2016 Demboski & Chapman Financial and Insurance Solutions, Inc.
Securities offered through ValMark Securities, Inc., Member FINRA, SIPC. Investment Advisory Services offered through ValMark Advisers, Inc., a SEC Registered Investment Advisor. 130 Springside Drive, Suite 300, Akron, OH 44333, (800) 765-5201. Demboski & Chapman Financial and Insurance Solutions, Inc. is a separate entity from ValMark Securities, Inc. and ValMark Advisers, Inc. Any opinions, projections, or recommendations contained herein is of a general nature, is subject to change, and is not intended as individual investment, tax, or legal advice. Please consult your tax and/or legal advisor for how this information may apply specifically to you.